*Update* Hearth Homes is now Naomi. Hearth Homes is a home for Moms and children in poverty or seeking safety from domestic violence. Hearth Homes first opened in 2003 in Spokane, WA when Karen Fournier, having experienced addiction, homelessness and despair found freedom from all of those in Christ. In her vision and desire to see other women gain that freedom, Hearth Homes was formed. 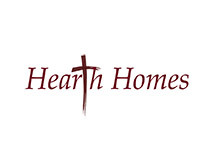 Hearth Homes moved to Spokane Valley in 2009 to become the only transitional home providing services to women and children in the city. Today, Hearth Homes has two houses located next door to each other with space for up to eight Moms and their children and a live in house manager. While the women are staying at Hearth Homes they have access to parenting classes, substance abuse, financial and personal issue counseling, and all of the personal growth that comes from living with other families. The acre of fenced outdoor space gives these women and their children a place to walk, garden, play, and exercise. IntelliTect partners with Hearth Homes financially and by providing mentoring and leadership to the organization. Several IntelliTect employees volunteer with Hearth Homes including our Chief Nerd, Mark Michaelis, who gives time as a member of their Trustee Board. Recently, IntelliTect helped sponsor the Hearth Homes fundraiser performance of the Spokane Civic Theatre’s production of “Fiddler on the Roof”. If you live in Spokane Valley and are interested in getting involved with a charity, Hearth Homes is an incredibly rewarding organization to work with as a volunteer.